When traveling with ski and snowboard gear always play it safe, because no one wants to discover a broken board that you were hoping to shred on foreign land with. Every mode of transportation comes with its complications, but with some foresight it is all manageable to get to your destination with all your gear in 1 piece. Planes: Check airlines' travel policies beforehand; basic guidelines can be found online and a phone call always helps as well. Airlines have different policies in what they will cover if there is damage and they do not willingly claim responsibility for broken equipment. Follow specific packing requirements, if it isn’t packed in the ‘appropriate’ way and it is damaged when you pick it up on the other end you won’t be covered. 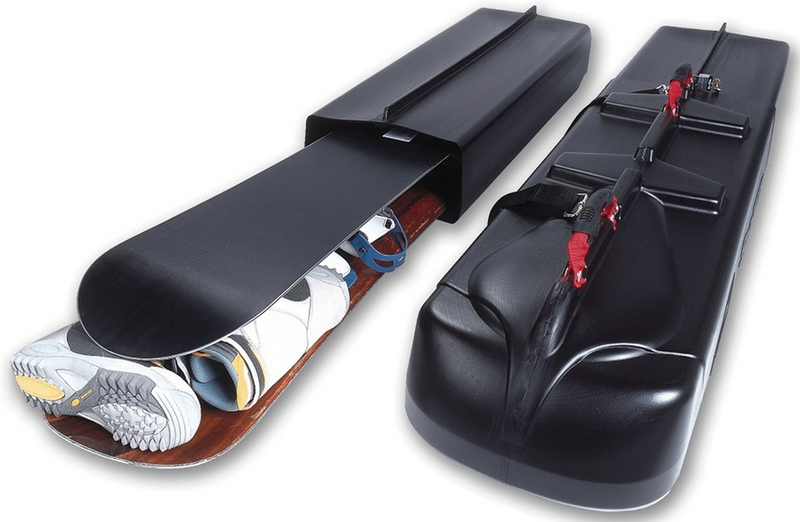 Oftentimes hard snowboard travel cases provide more coverage than soft snowboard travel bags. Trains: My favorite way to travel with equipment, unless you have seven transfers between point A and point B. Trains give you the opportunity to stow your own luggage and to keep an eye on it while you travel. If you’re taking equipment on a train in a mountainous area that caters to this all the better. Most European trains in the alps and Scandinavia have racks for skis and boards and plenty of space for all your luggage. Second to driving yourself, train travel offers easiest peace of mind. Buses: Similar to trains, you usually can hold on to your equipment for a short ride. Longer rides may necessitate putting large luggage beneath the bus by a questionably uninterested driver. In areas that have views of mountains there are usually some nice racks to help you out, similar to trains. If you can manage it, train travel is always my first recommendation. You can check out the mountains you will be shredding down and have peace of mind that some aggressive luggage handler won’t be tossing your snowboard mercilessly onto a conveyer belt. Covering all your bases is essential so make sure you’re well informed of policies. Having a travel board (a set of equipment that if broken won’t break your heart) can make everything easier, however, despite the ranking of the board in your collection no one wants damaged goods at the end of the day.